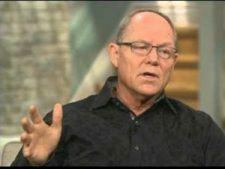 Christian radio personality Hank Hanegraaff, also known as the “Bible Answer Man,” has opened up about the “turbulent” past few weeks in his life, and revealed that he has been diagnosed with unexpected health issues. “The last couple of weeks have been turbulent, to say the least. But somehow, by God’s grace, I have never been in a more peaceful place in the entirety of my Christian life. I just feel surrounded by the love and goodness and grace of God,” Hanegraaff said.